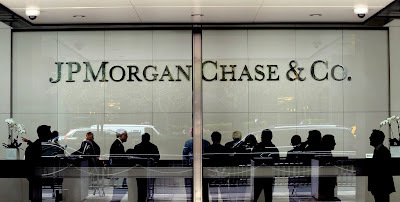 During the last few days, leading members of the largest American bank, JPMorgan Chase, have been making a number of statements that hint towards a change in regulatory sentiment being very close indeed. Although President Trump’s attempting axing of a number of elements of the Dodd-Frank Act has already been discussed in Financial Regulation Matters, the largely ineffective executive order, which admittedly just called for review, is merely an indicator for a sea-change in sentiment. 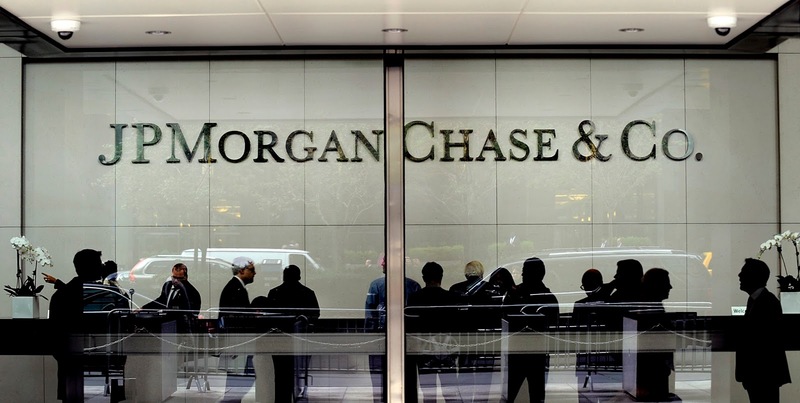 That change can be predicted by reading the words, and moreover the confidence of business elites, and in today’s short post the focus will be JPMorgan Chase. What we will see is that the levels of confidence being displayed, namely that the bank members themselves feel comfortable in lobbying for deregulation rather than paying lobbyists to do it for them, is an incredible and potentially positive development, for one counterintuitive reason. The two biggest indicators of JPMorgan Chase’s heightened confidence came on the same day, with the Chief Financial Officer, Marianne Lake, and Chairman and CEO, Jamie Dimon, both openly discussing their views on the newly-elected President’s presidency so far, and what it may mean for the marketplace. Firstly, British Physicist-turned-banker Lake spoke yesterday and stated that ‘the time feels right’ to relax regulatory constraints around banks that were in receipt of billions of tax-payers dollars in the wake of the Financial Crisis just a decade ago. Then, Dimon stated that Trump’s administration has regulatory areas going from ‘flashing red to flashing green’, with Lake continuing that what the bank wanted was increased consistency and coordination between agencies which, ostensibly, is a call for the reduction of regulators, eventually. There are, however, a number of factors that need to be discussed regarding JPMorgan Chase. Arguably, although in the same business, the company is not cut from the same cloth as its rivals, Goldman Sachs in particular. For example, recently Goldman CEO Lloyd Blankfein opined that his bank would happily hold less capital against bad loans if regulators allowed, whereas Marianne Lake confirmed that JPMorgan Chase has no plans to reduce the amount of capital it holds in reserve – in the lead up and throughout the Financial Crisis, JPMorgan Chase was significantly more capitalised than its rivals, which alludes to a difference in culture. However, it is worth remembering that the bank did partake in the pre-Crisis bubble and was in receipt of $25 billion from the Troubled Asset Relief Program, even though the bank’s position is that it took the money simply because Hank Paulson, the then Treasury Secretary, asked them to. It is also worth noting that even though the bank is relatively well-capitalised, it is still below international standards and Dimon cites this requirement to be capitalised to someone else’s standard as being ‘un-American’ - presumably partaking in a massive scheme that saw many Americans, vulnerable Americans, fraudulently assaulted, and then charged to fix the result of that assault, is as ‘American as apple pie’. The development of Donald Trump’s administration is raising a number of issues, some of which really need to be debated, and some of which really need to be debated less. However, Donald Trump’s presidency, which Dimon labels as a ‘moment of opportunity’, is having one potentially game-changing development. In the past, an unseen cabal of lobbyists worked behind the scenes, financially motivating democratically elected officials like Senators to do what was in their client’s favour; now, however, it appears that leading bankers are saving money and cutting out the intermediary and, this, may be a positive development. It may only be positive because of one element - exposure­. The public, as a rule, are not exposed to the actual mechanics of the financial sector and as such may overlook the cyclical nature of the economy’s relationship to society because a number of elements are missing from the larger picture. However, this unrivalled confidence by bankers in the modern day reveals for us the true nature of these organisations and the people who seek to advance their fortunes – they are not acting in the interests of America, nor are British financial elites acting in the interests of Britain (and German elites for Germany etc. etc. ), they are simply acting in their own interests, and this is crucial to understand. If we do, and the understanding becomes pervasive, then comments such as those from Lake and Dimon yesterday can be placed in the correct context – they are not interested in the development of the economy so that it brings prosperity to society; rather, they are interested in creating an environment whereby the people who are supposed to monitor them end up assisting them, and the opportunity to make vast fortunes alongside very little deterrent develops so that enough people do it and no one person can be blamed. The art of contextualising people’s actions is a key element in protecting oneself, and the ‘flashing green light’ that Dimon alludes to is actually a flashing red light for the rest of us.